Touch Of Evil is only one of his films that i have seen but that one at least is great. It takes it's time to really start rolling but it's really good. Men in Black. CGI has aged so poorly. There is a scene where Kay is typing on his computer in the background while Jay looks at the mural on the wall and Tommy Lee's fingers are not touching the keyboard. It's pretty funny. It's probably a tourism commercial for Southern California. Recently got the new Friday the 13th Blu-Ray box set (preordered it last month with my Smart Panel rewards), and what a great collection! While only the first 4 titles are on their own discs (it's just the Paramount-era films), each film looks GORGEOUS in high-def. And each disc is LOADED with special features, albeit mostly from the DVD releases, but still. There's even deleted scenes from some of the films, though more often than not they're either taken from a VHS-sourced workprint (such is the case with the Part 7 deleted scenes, including the original sleeping bag kill) or lack their original audio tracks (like the alternate Part 4 ending). Though Part 8's deleted scenes are actually in much better condition, though they're not remastered (as well, if at all) and a bit time-worn, which you can tell by virtue of many of them being composites cut with theatrical footage. There's also the six-part "Lost Tales from Camp Blood" shorts. While amazing (and worth more than its asking price), it DOES have its flaws. Aside from the fact that 2-8 are in their original R-rated cuts, Part 3's option of watching the film in 3D is only in the form of an anaglyph format, in lieu of 3D Blu-Ray. And to add insult to injury, Paramount apparently opted to NOT include any of the 3D glasses required to watch the 3D version. I've also recently watched a pair of Netflix rentals that I've been meaning to watch but haven't gotten around to until a few nights ago. The first was the original version of "The Evil Dead", which I've only seen once before. While not as good as its sequel/soft reboot, it's overall much more unnerving, less (intentionally) comical and overall feels like what I imagine a bad acid trip in a haunted house would seem like. The next was "Acne", a decent piece of Z-grade schlock about teens who turn into zitheads after drinking oil-polluted water. I put it right along "Attack of the Killer Tomatoes". I just finished up The Ballad of Lefty Brown (2017), which is now available for streaming on Prime Video. It is a solid, old-fashioned western about a simple-minded sidekick who sets off on a mission of vengeance after the “hero” he’s followed for decades is murdered. In getting the killer, he ends up getting a lot more than he bargained for. Bill Pullman anchors it with an endearing performance as the beleaguered sidekick, and it does everything well. (Also, the ending is great.). Fans of the genre will definitely enjoy it, and I highly recommend it. I remember seeing this preview and thinking it would be a fun movie. I was right... Unfortunately, its sum isn't good as its parts but it is still a fun ride. It is full of interesting ideas that aren't fully fleshed out because it's a found footage movie. The genre is a bit limited in how it can tell a story, but the method works for the movie as a popcorn flick here with some surprisingly funny moments. 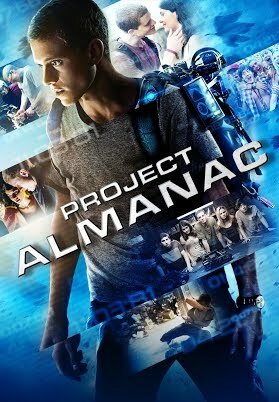 Check Project Almanac out if you liked the movies listed above, but don't except an award winner. Sit back for 90 minutes and have a good time. Wow, I must've been living under a rock to not realize how much of a success this movie was. It still holds the record for highest grossing stop motion movie pulling in $224.8 million overall ($108.6MM box office) ! On top of that, this film is produced by the British studio Aardman Animations and was their first full length film. If you see the DreamWorks name attached to the project, they helped finance it. This one also came up on several "best of Netflix" lists so I decided to give it a go with my kiddo. Overall, I liked it with one caveat. Let's start with the obvious... the visuals. I love a good stop motion movie. I have a soft spot for them and the style it adds. This one looks amazing streaming via HD Netflix and upscaled to 4K. There's a scene where the camera pans back, it's raining, and you get an above shot of 20+ chickens and you can see the actual depth between characters, their individual scale (top of head to feet), the muddy ground, & miscellaneous objects. It was stunning. While the color style is a bit drab to depict the dreary chicken farm, the presentation gets a solid A. When the movie starts I found the situational humor ammusing. You have a group of British chickens on an egg farm plotting to escape. 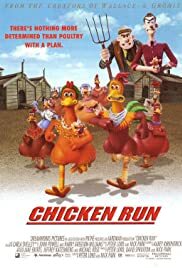 Rocky (voiced by Mel Gibson) comes along as the American flying rooster who will reluctantly lead them to freedom! Essentially, as the viewer you think it's a clever concept from the opening scene. Unfortunately, I really didn't finding myself laughing until roughly 30 minutes into the movie. That's my main criticism of this one. The humor starts a bit too far in, even though this is more of a story driven movie versus a kid's comedy. There are funny moments and my soon to be 3 years old son laughed out loud a few times. As an adult, you "get" the situational humor more and will enjoy it from the start, but they should've thrown a couple laughs in early (outside of the unique concept itself) to pull in their target audience quickly. I can recommend this one. Most of us here have a Netflix sub, and it's at your fingertips. It has never came up as "recommended" under my son's profile which I found odd. I had to manually search for it. It's nice to watch a movie with your kids that is enjoyable versus testing your sanity (looking at you Trolls!). Whoa... I might jinx myself here but I'm on track to watch 65+ movies this year. Enjoying the run thus far. I haven't started any life consuming RPGs though in 2018 . Has to be a direct correlation there! The wife and I recently watched Don't Breathe. It was alright but I have one big problem with it. Spoiler if you haven't seen it. So that blind guy kidnapped the girl that ran over and killed his daughter and keeps her locked up in his basement. Thing is, how did he kidnap her? He's blind. How did he manage to find her, make sure it was her, then abduct her when no one else was around, how was he sure no one else was around? I just find it all pretty impossible. I know he's a pretty capable blind guy but that's stretching it. Somebody had to of helped him. Maybe an old war buddy I don't know. Besides that it was a decent movie. I get tired of all the hype when a new horror/suspense movie comes out. I really don't remember the last time I saw one that I would say deserved hype. Other than that I watched Laputa - Castle in the Sky with the kids again. I love that damn movie. Rewatched "Return of the Living Dead" recently. 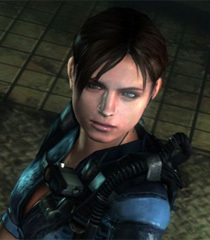 Wish Part 2 was also on Blu-Ray (Part 3 is). REPO Man wrote: Rewatched "Return of the Living Dead" recently. Wish Part 2 was also on Blu-Ray (Part 3 is). Probably due to distributor. For years 1 and 3 were on DVD, but 2 wasn't for quite a while. funk_Farmer wrote: The wife and I recently watched Don't Breathe. It was alright but I have one big problem with it. Spoiler if you haven't seen it. So that blind guy kidnapped the girl that ran over and killed his daughter and keeps her locked up in his basement. Thing is, how did he kidnap her? He's blind. How did he manage to find her, make sure it was her, then abduct her when no one else was around, how was he sure no one else was around? I just find it all pretty impossible. I know he's a pretty capable blind guy but that's stretching it. Somebody had to of helped him. Maybe an old war buddy I don't know. Besides that it was a decent movie. I get tired of all the hype when a new horror/suspense movie comes out. I really don't remember the last time I saw one that I would say deserved hype. Other than that I watched Laputa - Castle in the Sky with the kids again. I love that damn movie. yeah that blind guy was full of plot holes lol. i enjoyed it also. another movie i saw around that same time that was a "breaking into a house" thriller was The Good Neighbor. some kids do an experiment on their loner neighbor on how he reacts to his home being haunted after they setup all this equipment/spy crap in his house. it has a few twists thrown in. didn't really hear to much about this flick when i t came out, but it kept my interest.